If big lustrous screens don’t fascinate you anymore and you are looking for small, sleek yet powerful devices then you must consider two great Mini versions including Samsung Galaxy S4 Mini and Motorola Droid Mini. The “big brothers” of these devices are already a huge hit in the market. These devices even though are smaller version of their counterparts but that doesn’t imply that they are less powerful. 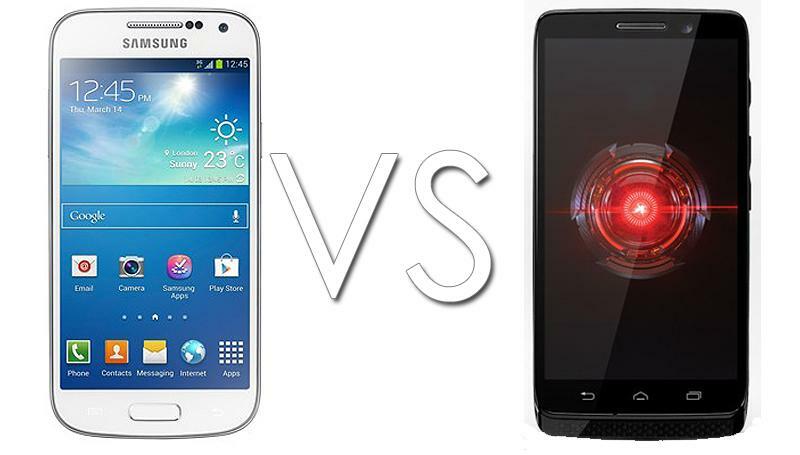 The following is a brief comparison of these two high end mini smartphones. Samsung Galaxy S4 comes a Qualcomm MSM8930 Snapdragon processor with the 1.7 GHz Krait dual core CPU and the device runs on 1.5 GB RAM, which is pretty decent consider the size of the device. Even though only 8 GB internal storage is available for the device, it can readily be expanded to up to 32 GB using a microSD card. On the other hand Droid mini has got the same CPU and GPU but it consists of Qualcomm Snapdragon S4 Pro chipset. Also, the device has got 2 GB RAM along with 16 GB internal space. However, you will not be able to use microSD card in Droid mini. Even though the size of the display in these phones is same, i.e., 4.3 inches, the specifications are pretty different as Galaxy S4 consists of a Super AMOLED display providing a resolution of 540 x 960 pixels, whereas Droid Mini sports a TFT that has got 720 x 1280 pixels resolution. Both the devices have their screen covered by Gorilla Glass. Galaxy S4 makes use of Android version 4.2.2 Jelly Bean to support the device. Samsung divisive TouchWiz UI is integrated in the device thereby allowing greater functionality and introducing new widgets. The clean interface of Android is really impressive. The Droid Mini is backed by Android version 4.3 and it includes a refreshed Moto UI, which helps to bring newness and better apps and widgets. Thus, the software specifications of both these devices are more or less the same. Cameras are a must for success of any device. Galaxy S4 comes with an 8 MP rear camera that has got a lot of camera features in it including autofocus, touch focus, geo tagging, face detection etc. Apart from it, there is another camera of 2 MP in the device. Droid Mini features a 10 MP camera which is better than S4 Mini and comes with all the required features. For video calls and chats, a 1.9 MP front camera is provided in the device. These devices are superb no doubt and have got a lot of potential. However, Motorola Droid Mini has got a slight advantage mainly due to faster processor, higher RAM and slightly better camera. The looks of the devices are also pretty good, but Droid Mini shows off a slightly premium feel which is missing in case of S4 Mini. You can watch out for great deals for S4 Mini at [tp lang=”en” only=”y”]http://www.samsunggalaxys4minicontracts.com/[/tp][tp not_in=”en”]http://www.samsunggalaxys4minicontracts.com/[/tp]. Guest article written by: Anzer Khan is a professional article writer and specializes in writing articles on smartphones and tablets. You must try to take advantage of the HTC Droid Mini and Samsung Galaxy S4 Mini contracts by comparing various deals at [tp lang=”en” only=”y”]http://www.samsunggalaxys4minicontracts.com/[/tp][tp not_in=”en”]http://www.samsunggalaxys4minicontracts.com/[/tp]. Next post: Photography: Mirrorless or DSLR?